We know everyone is probably curious just exactly what we’re able to fit in our backpacks and bring on our trip. We’ll be the first to admit, we’re flashpackers more so than backpackers. Generally, we say we’re backpacking because yes, we’re bringing everything in a backpack and traveling on a ridiculously cheap budget. However, a “real backpacker” will only bring about 3 pairs of underwear, 2 pairs of shoes, and you can forget about makeup or accessories. Wikipedia actually defines “flashpacker” as someone who travels with technology and gadgets including cameras, iPods, and laptops. Based on that definition I think almost every traveler would be considered a flashpacker these days. I mean, seriously when was the last time you saw someone travel without a camera? So flashpacker, backpacker, tomato, tomahto. The problem with packing for long-term travel is that there is no universal packing list because every person and trip are different. For example, if you’re camping in Madagascar your list will be vastly different than if you were staying in hostels or with friends in Europe. 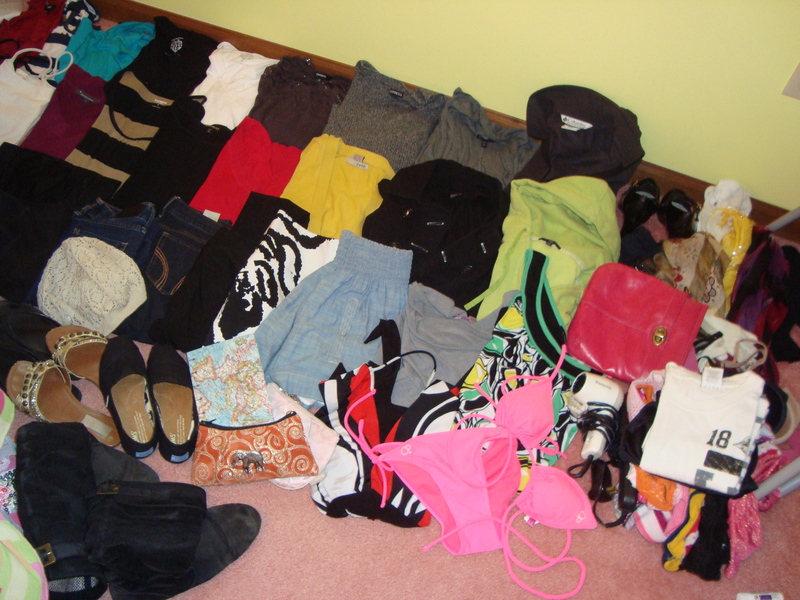 If you’re traveling to Canada in the winter you would probably need different items than Mexico in the summer. So based on our specific trip and circumstances, this is what we decided will work best for us. In a few weeks, we’ll reevaluate everything in our backpacks and let you know what was worth bringing, what we forgot, and what we should have left at home. So what’s in the bag? 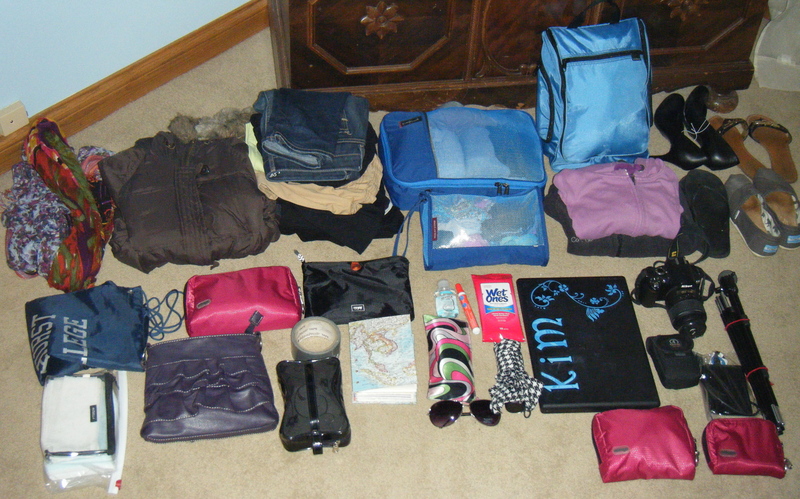 Posted on June 17, 2011, in Destinations, Pre-departure and tagged backpacking, clothes, Coley Nelson, flashpacking, Kim Pitingolo, Packing, packing list, technology, Travel. Bookmark the permalink. 3 Comments. Ok, I was just trying to decide if the Gregory Jade 60 pack would be big enough for backpacking (as a girl who likes to pack her hairstraightener) and stumbled across your page. Having seen your lists and pictures of what you packed in those bags the answer is definitely a YES!! Thanks for the assistance 🙂 Mikayla. Thanks for your comment, we’re really glad that our post was able to help you. How long will you be backpacking for? We are definitely very satisfied with our purchases of the Gregory Jade 60 because it is still considered a “light” pack and was easy for us to carry around, we were able to stuff it pretty full with our clothes and toiletries, and it is also one of the more “stylish” backpacks you’ll find with the bright colors.